Our GoPro is one of our favorite travel cameras. That probably comes as a surprise to most, but they’re nifty little cameras and they’ve managed to build their own unique brand of GoPro photography. They’re versatile, small, and rugged which makes them perfect for action photography. With the addition of mounts, their capabilities for adventure sports has made them the cornerstone of the sports camera market. 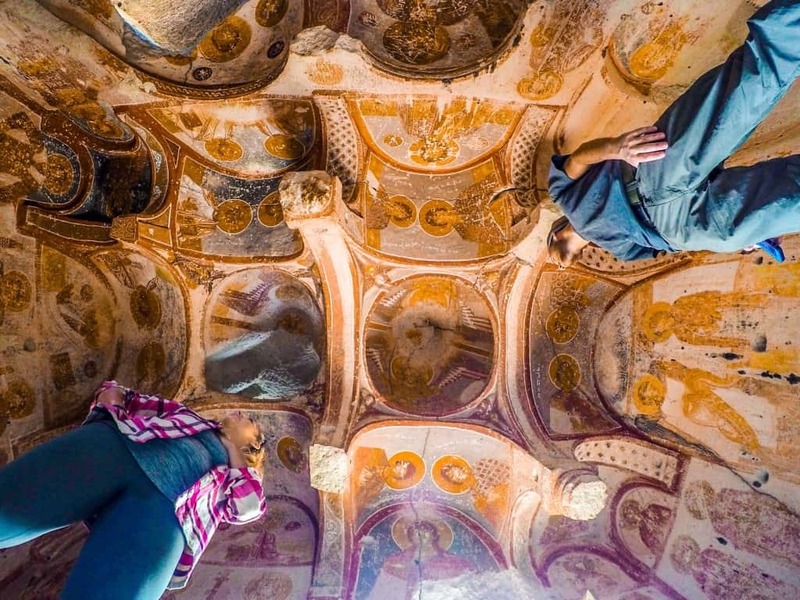 What we love about our GoPro is the creativity that it provides us when we’re traveling. Throw the camera down a small hole, take it snowboarding, attach it to your dog, go scuba diving, or jump off a cliff and you’ll capture all the magic with its wide-angle lens. No the quality of the images are not the best, but not all of us can afford a pricey DSLR with underwater housing that’s able to handle all nature can throw at us. It’s the accessibility of the GoPro that has made them the household name they are today. Since the first-ever GoPro, they’ve continued to improve the camera performance with regularly updating their gear. 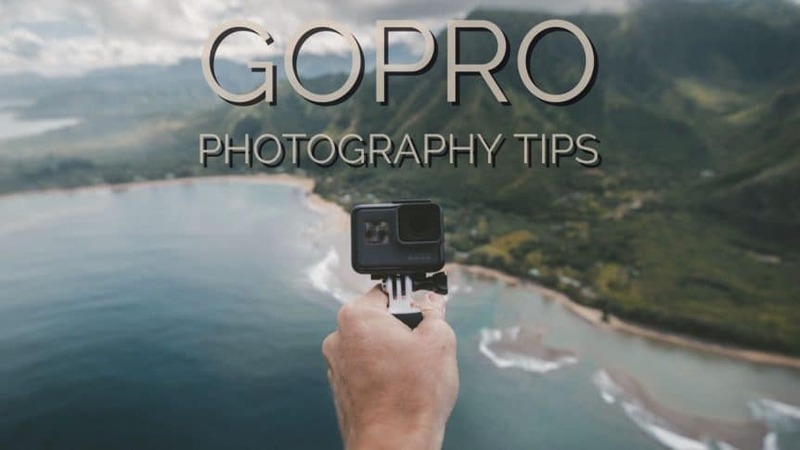 If you’ve picked up one of the cameras or you’re getting ready to purchase one you can use these GoPro photography tips to make the most out of the piece tech. 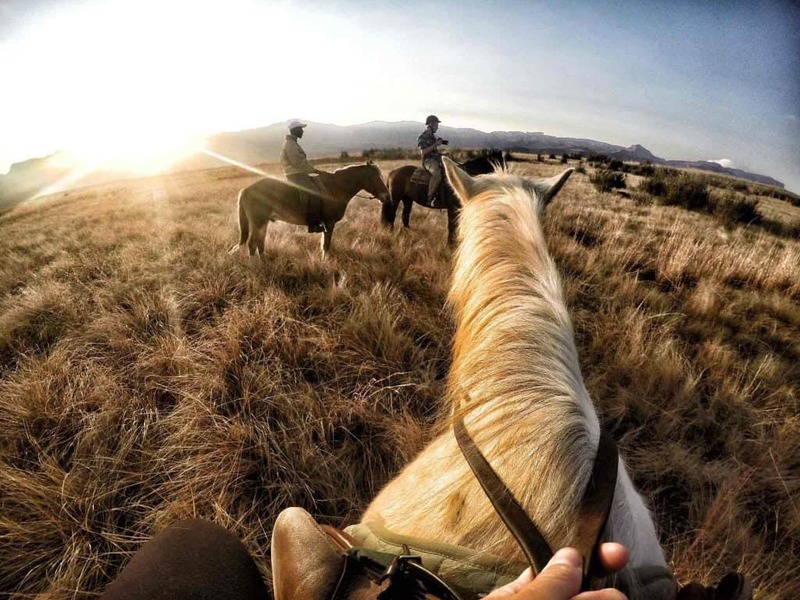 Our favorite photographs we’ve taken from our GoPro are a result of creativity. We recommend breaking every photography rule you know. Shoot towards the light. Place it on a railing. Point it at the ground. Set it on the ground. The size of the GoPro gives it the ability to go many places that full size cameras can not. The ultra wide angle also provides a totally new perspective on the world. The GoPro is best when it is used when taken places no standard camera can go. GoPros have a lot of quirks and they’re definitely not the perfect camera. One of their many drawbacks is a short battery life. You can normally get a few hours of shooting, but it doesn’t last a full day. We like to carry several spare batteries when we travel. They also make some great chargers that charge two to three GoPro batteries at once. I’d recommend learning how to condition a battery to increase longevity. The basic premise is by fully charging and discharging a battery 2-3 times before its first use. While we love the capabilities of the camera underwater there are a few accessories we would recommend you pick up for snapping underwater pics. At depths greater than a few meters the amount of blue light and lack of red throws the camera’s white balance for a loop. 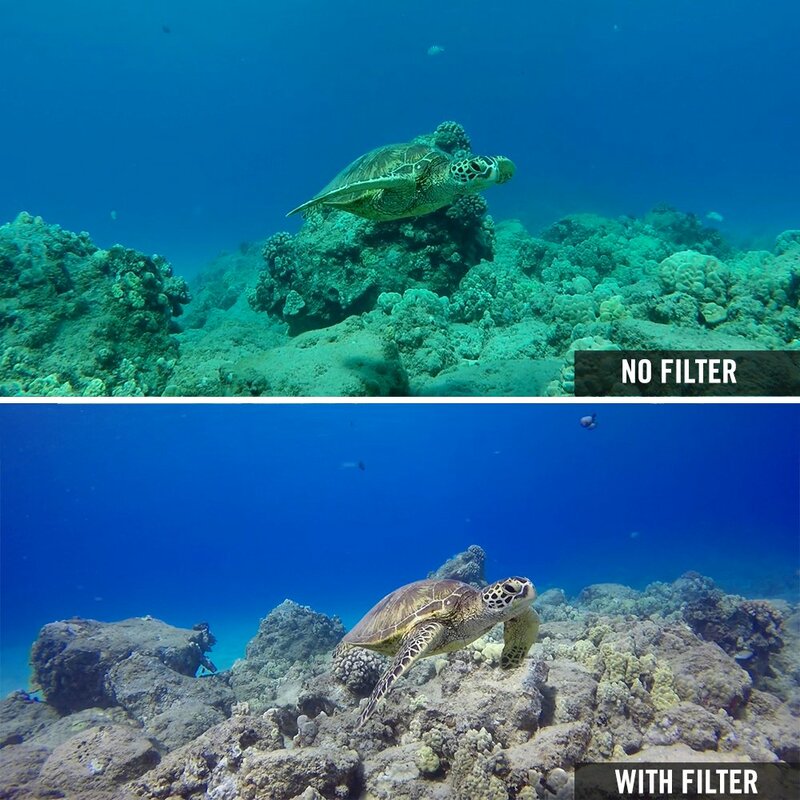 That’s why most serious underwater photographers use a red filter over the lens of the camera. This allows for more accurate photo representation. You can pick up a red filter like the SANDMARC Aqua Filter for GoPro. I recommend you keep in mind how wide the GoPro lens is when taking photographs. 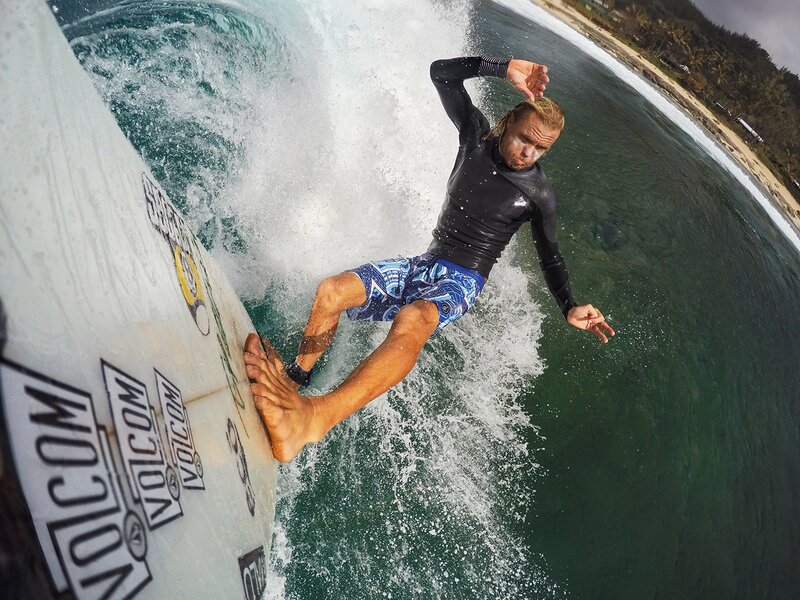 With a fish eye lens as wide as the GoPro it helps to get up close and personal with your subjects. 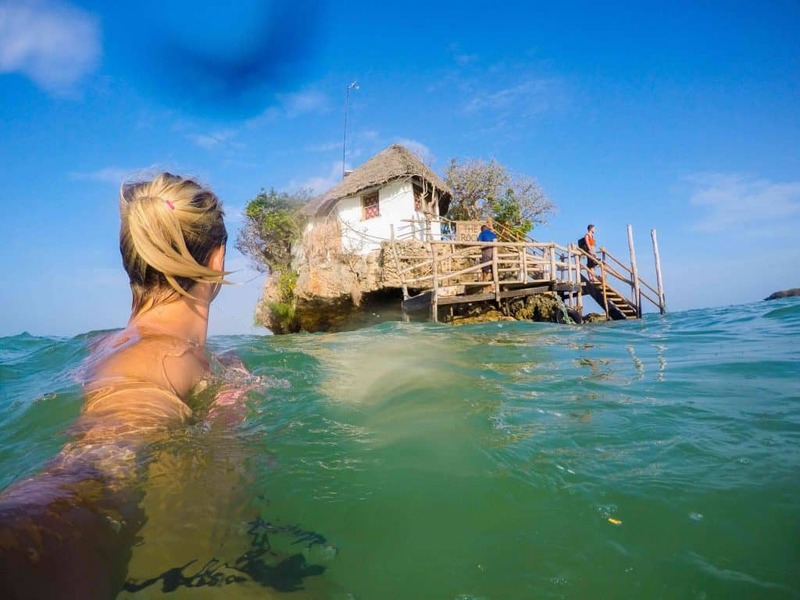 GoPro photos excel when a subject is placed in the foreground of the image. However, take the subject or object away and I find the landscape looks flat and boring due to the fish eye lens and small sensor with just an okay image quality. The greatest strength of the small action camera is its ability to go anywhere. Some of our favorite photos come from playing with the perspective of the camera. It’s best to think about how we traditionally see something, and then giving us new perspective. This is a common trick in photography, but with a camera so small and versatile you get a unique advantage. A common problem with the GoPro housing is fog/moisture in the interior of the housing. This happens when you move between different environments rapidly. While it’s possible to combat this by physically allowing the camera to adjust to the environment in advance, sometimes it can’t be prevented. When diving or snorkeling the water is often much colder than the air so fog is commonplace. We suggest you pick up a couple of GoPro fog inserts that will soak up any moisture in the case and keep your camera dry. Another way to fight fog is to use the open back. If you’ve got the latest GoPro Hero 5 you don’t have to worry about a case as the camera is waterproof up to a depth of 10m. I love that they made the whole camera waterproof without the need for the housing that can contribute to many GoPro photography challenges. Since the screen on the GoPro is so small around the half time you take a photo you won’t see the shot anyways. It’s best to take multiple photographs to ensure you get what you want. When shooting photographs we make sure to grab multiple captures that way we can worry about the details like image composition later. If you want to save your finger from pressing the shutter multiple times just put the camera in burst mode. You can toggle between time lapse and burst and then adjust the amount of exposures and the time frame between them. GoPro Vented Helmet Strap: This mount is great for active travelers. I’ve used it when snowboarding, but it’s pretty versatile. I recommend wrapping it around a backpack strap to record when hiking. Camera Pole: Call it a selfie stick, but some time of pole is pretty much necessary to get the most out of your action camera. Surf Mount: It’s specialty to one sport, but if you’re an avid surfer this mount is pretty much a need. Wrist Strap: When used with the right sport like surfing, skydiving, cycling, or snowboarding you can get some pretty awesome shots with a wrist strap. Since a major feature of the GoPro is its ability to go anywhere you’re likely going to be taking it in some risky situations. Although the camera is affordable it still costs a pretty penny at $400 so it’s not compltely dispensable. (Trust me, we’ve lost a few and it is always a bit heartbreaking). The greatest threat of losing the camera is around water sports as it could easily be dropped in the water. While you can go the cheap route and tie a small cord around the GoPro and attach to your wrist or board shorts, GoPro actually makes a floaty back door that will keep the camera buoyant in case you drop it in deep water. A common issue you’ll come to find is water drops sitting on the camera lens. It obscures the image and can ruin your results. We always like to keep an eye on our lens and make sure that it is clear when taking photographs. A great solution to this problem is a water repellant spray solution like RainX or any hydrophobic spray. The GoPro does come with some nice features such as slow motion. The slow motion captures every second and looks super smooth. Give it a go the next time you’re about to do something awesome. The latest camera can now shoot at 1080p and 120fps – that makes for some amazing slow motion videos. That little white plug included with the GoPro does in fact have a purpose! The locking plug is designed to reduce vibration noise. When the GoPro is mounted the vibration of the plastic clip can ruin your sound making it difficult to hear what you are doing or saying. When you plug the rubber into the base it will save your audio. This is especially important during high movement activities or filming in loud environments. The early GoPro models lack a high ISO and camera stabilization so it’s very common for photos and video to come out blurry as the camera slows down the shutter speed to expose images properly. Keep this in mind when grabbing shots and work at keeping the camera balanced when shooting photos in low light situations like early morning, indoors, evening, and underwater. With addition of video stabilization the GoPro Hero5 does have improved photo and video capabilities. Ever wonder why professional photographs look so much better than yours? It’s because we edit all of our photographs using specialty designed software. We personally pay for a premium software called Adobe Lightroom & Photoshop. The software is not cheap and it’s designed for enthusiasts and professionals, but there are a plethora of free photo editing programs for your photos. Some great options would be VSCO, GIMP, and The Nik Collection. We love the capabilities of the GoPro. It’s the perfect way to create photos and videos to share with anyone and it’s size allows users to pull it out anywhere. The camera hits the mark by being simple to use while still packing in various features not found on a traditional point and shoot. Even though we travel with three camera and two drones, we still love using the GoPro for adventure activities. We love it and if you utilize some of these GoPro photography tips I’m sure you’ll fall in love too.